Barnes & Noble, one of the largest book retail companies in the world, operates their retail stores more like community centers than bookstores. They want customers to stay awhile and enjoy all that their store has to offer and B&N has more to offer than just books. Customers can enjoy food and beverage at their indoor café, learn about Nook HD and attend in-store events. As a way to engage their customers, Barnes & Noble hosts several weekly events throughout each month. A favorite event for parents and children is their storybook time called “Tales for Tots”. During storybook time, children and parents gather in closely to listen as the storyteller reads from the pages of popular children’s books. This month on Saturday June 29th, the Barnes & Noble in Melbourne, FL has an extra special treat for the young children. 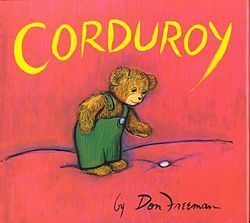 Corduroy is coming to the store! The beloved teddy bear with the missing button in Don Freeman’s book is making a guest appearance at the store to read his story to the kiddos. This is the perfect event for parents to bring their little ones. Corduroy is happy to pose for pictures with his favorite young fans so parents are encouraged to bring their cameras with them. Barnes & Noble’s Tales for Tots story book time delivers a rewarding experience for young children while at the same time giving parents a chance to sit back and enjoy their coffee. Along with Tales for Tots, Barnes & Noble also offers book club gatherings and Nook HD training sessions. Be sure to check out their event calendar for upcoming events.